Driving an electric vehicle plays a critical role in reducing carbon dioxide emissions, but the impact of this reduction gets diminished if the electricity comes from fossil fuels. The sources of electricity used to power your car must be green too and several choices are available to make that happen. It all comes down to this: how can you ensure that you are maximizing the amount of electricity that comes from renewable sources used to charge your vehicle? The two highest contributors of U.S. greenhouse gas emissions in 2016 were transportation and electricity production, according to the U.S. Environmental Protection Agency. In Illinois, 40 percent of the state’s electricity is produced by coal and natural gas—only 7 percent is produced by wind and solar, reports the U.S. Department of Energy. Fortunately, some power companies offer green energy options for your power. And there are steps you can take to maximize the percentage of renewable sources for your electricity. How you do that depends first on where you live. 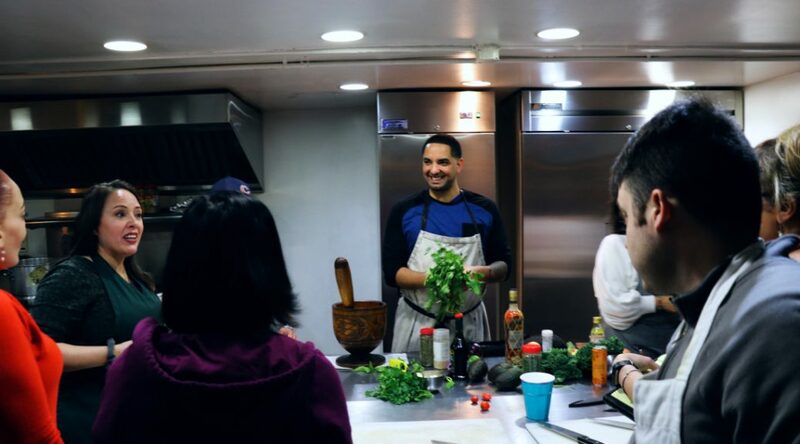 Puerto Rican chef Roberto Pérez doesn’t eat pork. He confesses this to me from behind the steering wheel of his black Volvo on a cold Monday a few weeks ago. We’re driving through Chicago’s Austin neighborhood to Rico Fresh, one of Pérez’s favorite grocery stores. This July marks 100 years since 17-year-old Eugene Williams drowned in Lake Michigan. The black teenager unknowingly drifted across 29th street while on a raft—crossing the unofficial demarcation between the white and black sides of a South Side beach. White beach-goers threw rocks at him and knocked him unconscious, causing the boy who couldn’t swim to drown. No arrests were made despite eyewitnesses. Thanks to 200-miles of bike lanes, the newly renovated Lakefront Trail and more than 130,000 spots to park and lock your bike, Chicago consistently ranks among America’s most bicycle-friendly cities, according to ratings in Bicycle Magazine. But that friendliness wanes if you’re black, Latino or a woman looking to ride. The next time when you shout into the ordering box at a drive-through, you might not be talking to a human but an automated order taker. 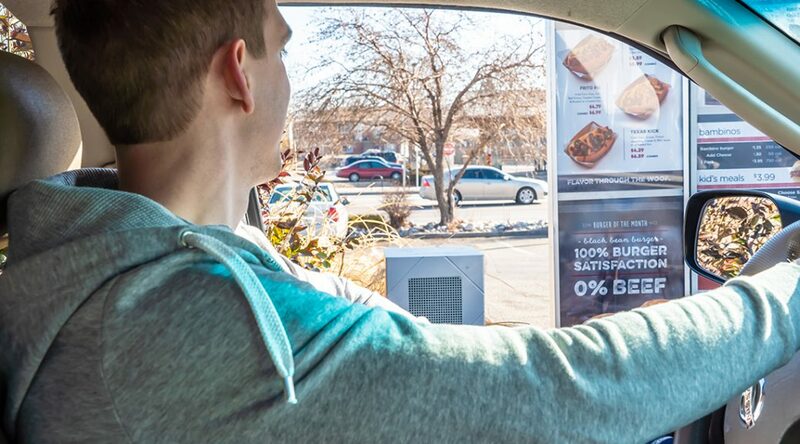 Drive-through windows make up about 70 percent of fast-food chains’ sales, according to a recent study from QSR Magazine. But employees often consider this work as the most taxing job for employees inside a fast-food restaurant. They are taking orders from multiple lanes. They are processing credit cards, cash or scanning loyalty cards. They are putting food into bags. The next thing you know—the soda cup is overflowing. If all these factors are not enough to stress out employees, the bevy of new tech tools such as mobile ordering apps and self-service kiosks—complicated and often out-of-order—add more frustration, remember that these are often minimum-wage jobs. According to the 2018 MIT Technology Review, the work force turnover in the fast-food industry jumped to a record high of 150 percent, which means that a restaurant employing 20 workers would go through 30 in the span of a year. Since restaurants are either understaffed or full of new hires who are not fully trained, wait times increase. QSR magazine reported that the average drive-through time among major brands in 2018 was 234 seconds, compared with 225 seconds a year earlier. To solve issues of workforce shortage and slowed down service time, three AI companies are working on creating AI-powered voice assistant for order taking. Let’s take a look. Here’s why these companies believe that AI voice ordering assistant will be the game-changer of the next generation drive-throughs. Seconds matter in fast-food drive-throughs. Potential customers are likely to drive away when there is a long line of waiting vehicles. Valyant AI piloted a voice-based assistant to take breakfast orders at one drive-through restaurant – Good Times Burgers & Frozen Custard in Denver, Colorado – starting in the fall of 2018. The eatery is seeing a 10 to 25 percent reduction in average wait time, with a few orders hitting 50 percent wait time reductions, according to chief executive and founder Rob Carpenter. Given the fact that customers want to get their food as quickly as they can and get out of the drive-throughs, Carpenter believes that it is a very viable possibility for AI to take over the majority of customer orders within the next 5 years. “If you’re saying it’s going to take 50 seconds to get your food using the AI and 100 seconds to get your food using an employee, I think you’ll see a lot of people opting for the AI system provided the system is accurate,” he said. Although QSR Magazine reported that order accuracy rose slightly from 89.4 percent in 2017 to 89.7 percent in 2018, for people who have strong food allergies, any inaccuracy is a life-and-death issue. That’s the initial reason why Encounter AI came up with the idea of bringing a voice-enabled AI assistant to fast-food drive-through ordering systems. Its technology is currently testing at several drive-through restaurants in the Midwest and on the west coast including a hand full of the top 20 U.S. fast-food brands to handle all three day-parts, said Derrick Johnson, the company’s CEO and former Franchisee and QSR consultant. Due to non-disclosure agreements, he declined to name any of these restaurants specifically. Johnson declined to provide current statistics on accuracy of its AI voice-ordering platform. But he said accuracy started with at about 85 percent and is continuously improving over time through the process of machine learning. “Today we handle a normal order at the efficiency of an ordering associate but are monitoring exceptions. So if someone comes in and says ‘I want two bottom buns with my order’ and our system has never heard that before. We want to give it time to learn more of these edge cases,” Johnson said. Messy language, accents or improper grammar can also result in wrong orders. But it won’t be a problem anymore with the conversational AI technology developed by Clinc, which is currently in late-stage talks with a number of top quick-service restaurant companies in North America to augment the voice control capabilities of drive-thru windows. Unlike many other voice-powered AI tools, Clinc’s platform is purely data-driven and more flexible, learning from the different ways that people order, according to Dennis Zender, executive vice president of strategy and innovation at Clinc. With more orders collected and more conversations with customers, artificial intelligence enhanced by machine learning can remember customers preferences and make the best decision about which food to promote in future visits. Encounter AI is currently using this technology to avoid bombarding customers with items regardless of their preferences. In addition to previously placed order, Clinic’s AI platform also remembers customers’ favorite orders to optimize the up-sell opportunities. Besides customized up-sell, AI-powered voice assistant helps drive-throughs become more profitable through labor reduction. Johnson said drive-through traffic has increased approximately 30 percent and, often times, fewer employees are required for drive-throughs that are partnering with Encounter AI. Having a pleasurable service experience at drive-throughs often amounts to how nice the employee is who takes the order. AI voice-ordering assistants will never sound annoyed, unhappy or tired, contributing to a more consistent customer experience. And AI companies are making other efforts to help customer experience become more delightful such as Encounter AI’s emotional recognition from voice. In addition to that, the voice assistant can also adjust its response to customers based on the expressiveness in a customers’ voice. It can sound excited, calm or inquisitive to best match customers’ emotions, creating a positive experience for them. Despite all the potential benefits advertised by these AI companies, experts have their doubts about the trend of replacing human being with virtual voice assistants. Ken Forbus, an AI professor at Northwestern University thought it is a little early. “For order taking, language technology could be pretty good for that, except that it’s not clear that it is better than humans,” Forbus said. Forbus pointed out two issues. One is that, when people order food, they might have questions. Anticipating all the kinds of questions customers might ask could be very hard and that’s when natural language is needed. The other thing is that today’s robots haven’t been smart enough and their sensors are not very good so that they can’t really handle things the way human do. “The question for my mind is that: is automating the ordering process the right thing or is training your employees” a better way to go? Forbus said. The Illinois state minimum wage will rise to $9.25 an hour on Jan. 1, 2020, increasing for the first time in a decade, and to $15 an hour by 2025. But the struggle of low-wage workers and their political allies who fought for the increase face a seemingly steep obstacle—automation, robotics and kiosk services. In the spring of 1964, civil rights activist Bob Moses spoke at Stanford University in an attempt to recruit students to join him in Mississippi to help register voters. Moses’ words about organizing and human rights hold true some 55 years later and will frame the struggle that achieved the $15 minimum wage in Illinois – click on Moses’ words quoted in this story to hear the original recording of the speech. 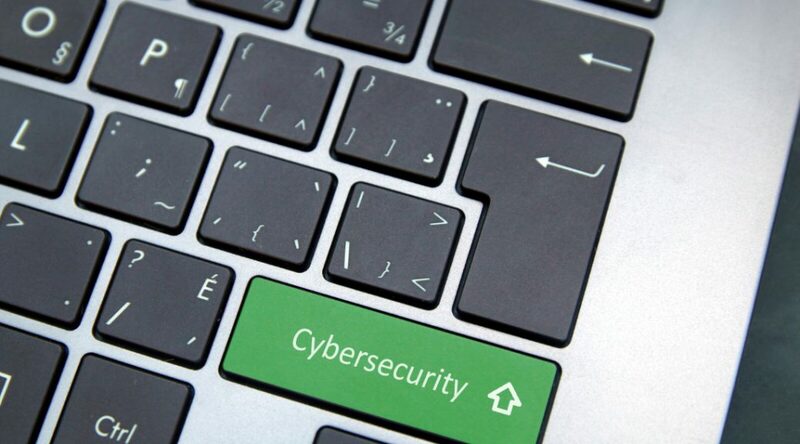 Has your personal information leaked in a data breach? (Not sure? Use this tool to find out). How about passwords — still using “password” or “123456” for everything? Do you want to keep prying eyes away from health records, personal finances or information about your children? Mary Schmich was walking to work at the Chicago Tribune, as she did everyday, when she passed a young woman naively soaking herself in some of the first strong rays of sun on Lake Michigan after a long Chicago winter. She laughed at herself, realizing she’d reached the age where such thoughts even crossed her mind. Later, she fired up her computer, grabbed a coffee and some M&Ms from the vending machine at the Tribune Tower on Michigan Avenue and began writing. Closer to the end of the summer of ’97, a few months after she passed the sunbathing girl, Schmich got a call from a friend. His sister, who lived in Denver, had sent him an e-mail of a commencement speech by Kurt Vonnegut at MIT. It looked an awful lot like something he had read from her in the Chicago Tribune months earlier, he said. A lone mosquito patrols the Yamada family to stock up on blood for the coming winter. You are Mister Mosquito, an uninvited guest who pesters the hapless Yamada family. They want you dead. You want to bite. The battle is on. Quirky as it sounds, Mister Mosquito is a Japanese video game released by ZOOM Inc. in 2001. Unlike U.S. video games that depict post-apocalyptic journeys or commando attacks, Mister Mosquito allows you to experience the hardship of a mosquito’s life. What is the primary purpose of business? To maximize profit or to make the society better with products and services? Can businesses balance these two goals? Impact investing, a trend quickly gaining momentum in Chicago, offers an answer. 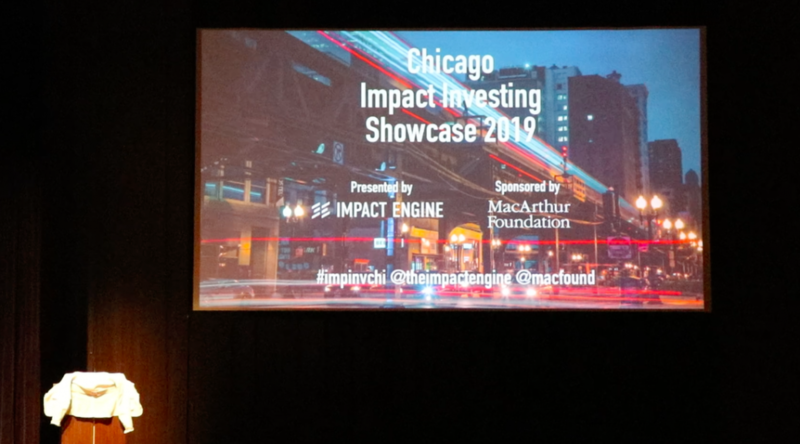 In February, small businesses, not-for-profits, corporations, foundations and venture capitalists alike gathered at the annual Impact Investing Showcase, to learn about how the latest innovations and impact measurements help businesses “do well” and “do good” at the same time.